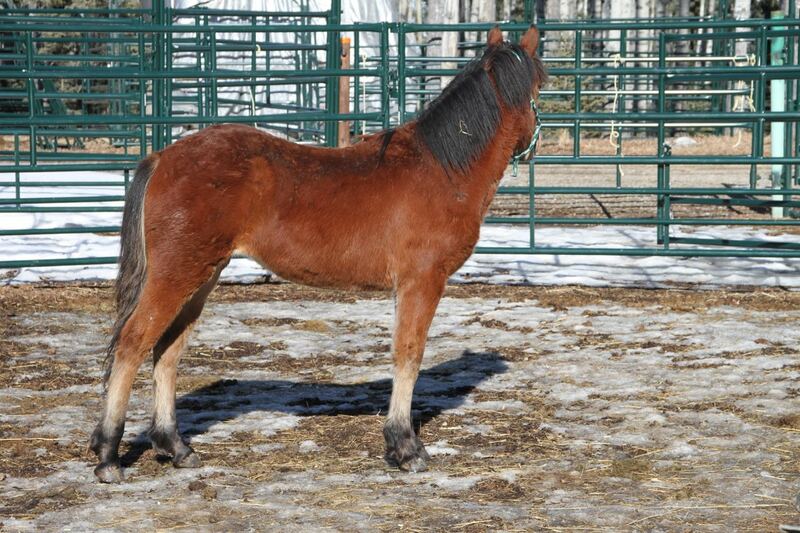 WHOAS currently has two young wild horses that are at our facility and who will soon be ready for adoption. 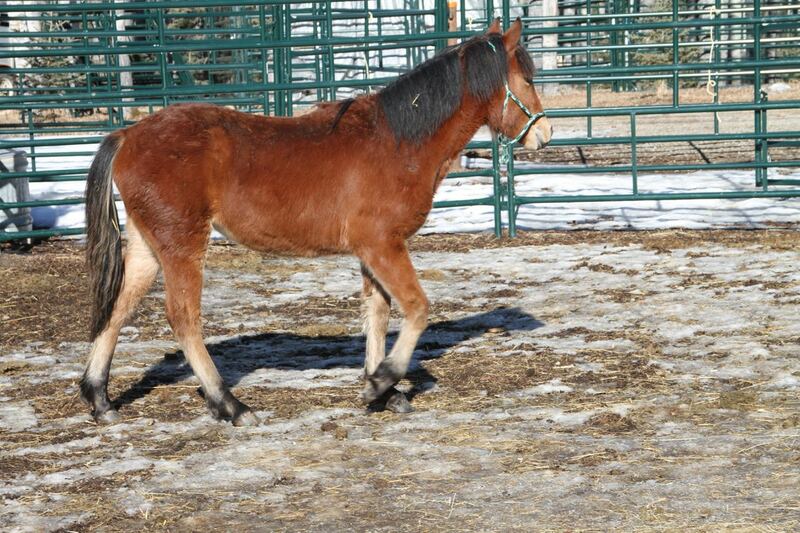 The first is this young, soon to be 3-year old, gelding who we have named affectionately, Buddy. As you may recall from a previous post, Buddy was causing trouble with land owners by trashing fences to get at their horses. Again, what would you have – adoption or auction? Buddy has been gelded, wolf teeth removed and has had all his vaccinations. We are still working with him. He comes right up to us, likes to be scratched and brushed. He enters his stall without hesitation and there, while enjoying his treats and lots of hay, he so enjoys the touch of the brush on both sides. He stands only 14 hands now and as with all the other wildies we’ve had the pleasure of working with he is an amazing horse. Love those wildies! This is our young little filly that we have named April. She turns one on April 1st. 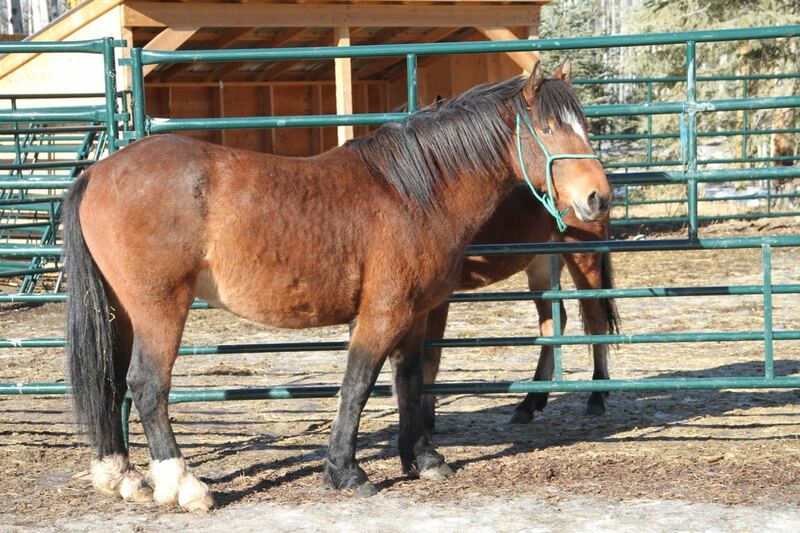 She was born into our resident herd and due to the age of her mare it was decided to wean her and find her a new home as even in the wild she would not be able to stay with the herd for long. This is a difficult decision but is what is best for the horse. She is quite a charmer and very curious. She just loves attention and comes right up to you to make sure she gets it! She does have a mischievous side in that she’s always bothering the two other boys that are in the pens. Trying to remove each other’s halters is a favourite activity of them all. Curious girl – where did the dogs go? 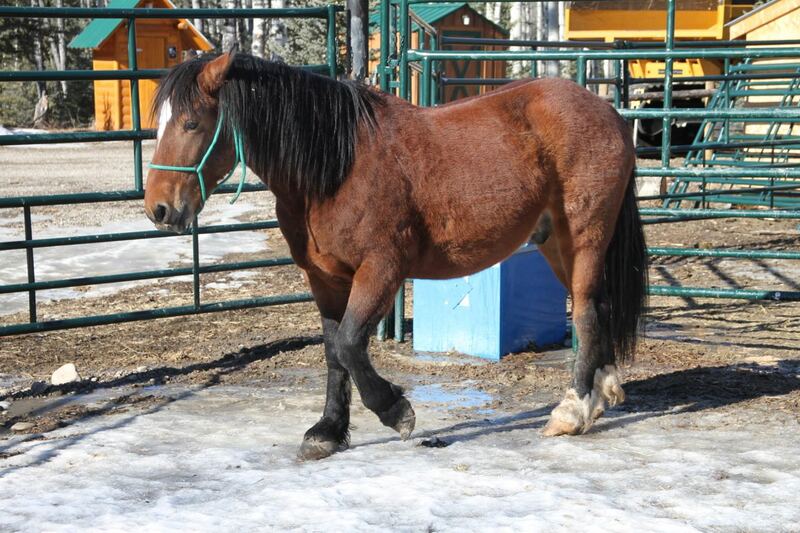 Adoption forms are available upon request by emailing WHOASalberta@gmail.com. We vet all applications to assure that any of these beautiful animals go to caring and loving homes.